Baby’s Breath is a hardy annual that is also fairly drought tolerant. Although it is native to Europe, it can be found throughout most of the United States. 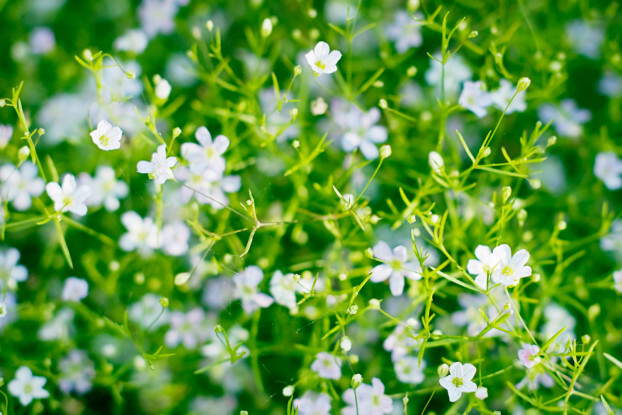 Baby’s Breath is best known for use in flower arrangements because its delicate, white flower clusters provide a stunning background or filler. It can grow up to 18 inches tall, and prefers full sun in well-drained soils. It blooms from early spring to late summer.